The grocery store at 720 20th Street, NW, Washington DC,was patronized by a number of presidents. They frequently selected provisions for special dinners, an interesting commentary on the simplicity of life in the 19th century. 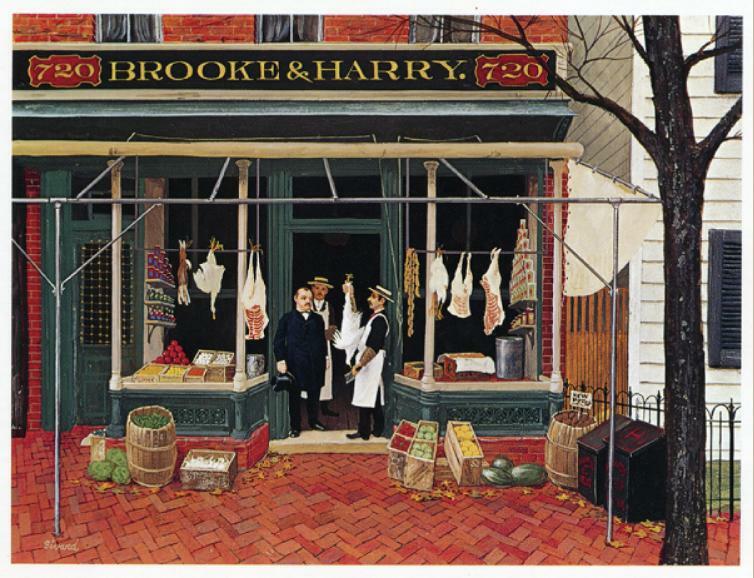 Brooke and Harry’s shop was typical of the neighborhood surrounding the White House at that time. It was owned and operated by the same family until 1958, when it was forced to close, since progress, in the form of urban renewal, had removed its clientele. The site is now the parking lot of the International Monetary Fund.